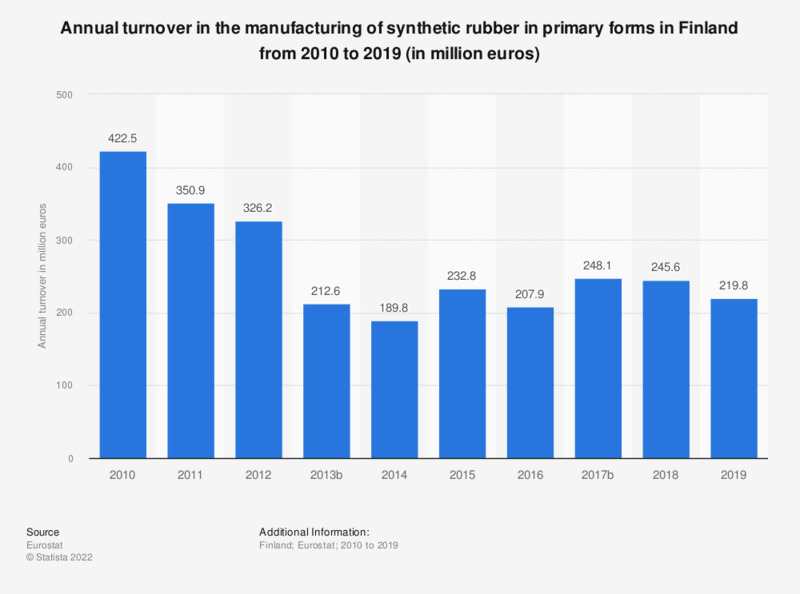 This statistic shows the annual turnover in the manufacture of synthetic rubber in primary forms in Finland from 2008 to 2014. In 2010, the turnover in the manufacture of synthetic rubber in primary forms amounted to approximately 422.5 million euros. Data coverage corresponds to Section C2017 of NACE Rev 2.